Leave it to Proenza Schouler to create a campaign that's just as eclectic and cool as the S/S 2015 collection it represents. Model Julia Bergshoeff reprises her role from last season, posing in some of our favourite pieces. 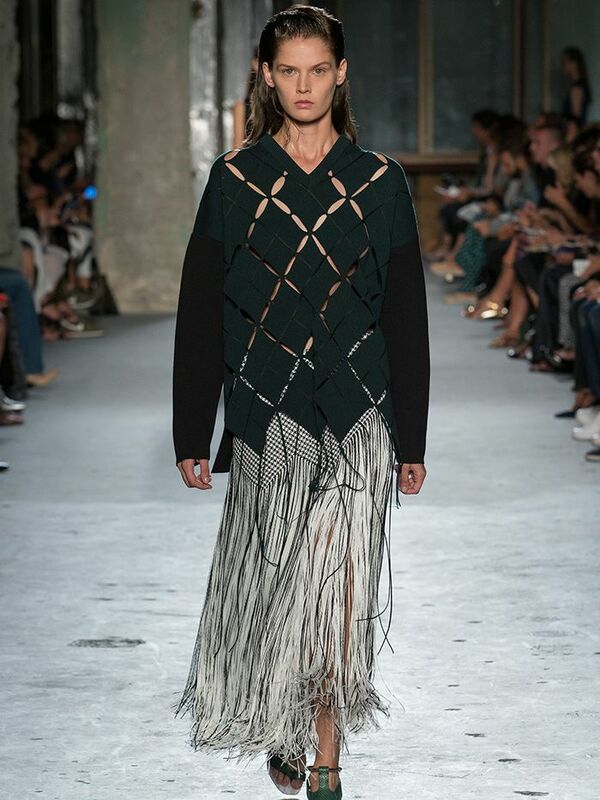 We can't get enough of the stunning cut-out top and fringe skirt!